Notary signing agents who prepare for the new Closing Disclosure by completing the NNA’s Continuing Education Course will get preferred status to receive loan-signing assignments from Boston National Title, a senior company executive said. The NNA’s NSA Continuing Education eLearning Course is widely recognized throughout the mortgage industry as providing signing agents with all the information they need, and completing it shows that a signing agent has been proactive in preparing for the Closing Disclosure, Bossers said. “That’s why we will give preferred status to NSAs who have completed the course, providing they have also met all other standard signing agent requirements,” he said. The Closing Disclosure is part of the Consumer Financial Protection Bureau’s new TILA/RESPA Integrated Disclosures (TRID) Rule, which takes effect for most loan applications beginning on October 3. Lenders, title companies, settlement services and others have described the rule as the greatest sea-change to hit the mortgage industry in years. The Closing Disclosure form combines information from the existing HUD-1 Settlement Statement and final Truth In Lending Statement for most residential mortgages and is intended to help borrowers better understand the terms of their loans. Boston National Title, a licensed title agent in 41 states and the District of Columbia, is the latest organization to encourage NSAs to complete the continuing education course. Senior executives taking part in the industry panel at NNA 2015 Conference in June gave a similar message. “I have taken the NNA’s course and found it very good, right to the point,” Ray Callahan, Chief Compliance Officer, Prospect Mortgage, LLC., said. You should provide this information at no charge. 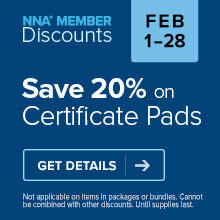 We are loyal members of NNA and have been for 10 years. I agree with R. J. Angel. Rather than support and enhance our skills, it appears the NNA sees its signing agents as a revenue source. We already pay an NNA membership and a Signing Agent membership. I'm disappointed. Yes, NNA misses NO OPPORTUNITY to repay loyalty by ripping us off!!! That's why I use Notary Rotary for everything possible! They are really nice folks! Hi highly recommend doing some research on what the notary forums say about Boston National Title ... I personally learned too late.